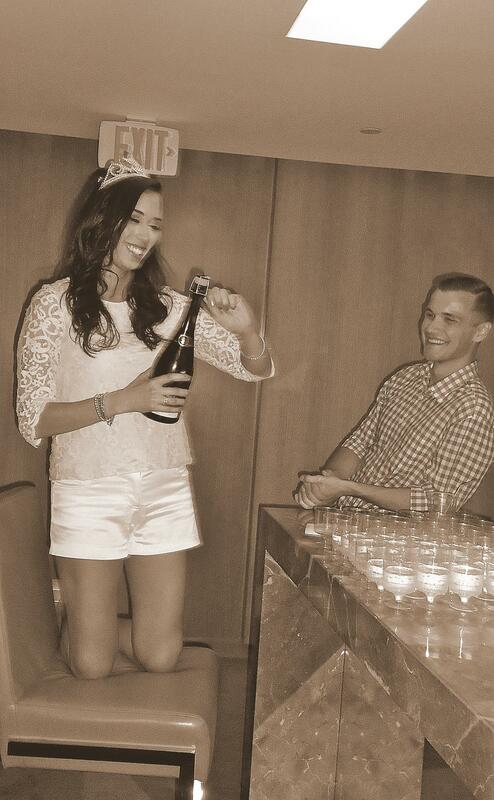 This year was Gina’s Champagne birthday. She wanted to celebrate in a different fashion, than just going out to a bar or lounge. We met up and discussed what her plans were for her big night. After listening to Gina’s requests, I was able to envision the party that she had anticipated. For this event, partial planning took place. The place was already booked, and she decided to throw it down, pot-luck styles. We just had to make sure that everything would fit in, accordingly. I asked her what her favourite colours were. Red was her first choice, followed by blue. And with that, I began the process of styling her candy bar. I also asked her if she needed a photographer for a photobooth. She was thrilled with the idea and could not wait for it to be set up. 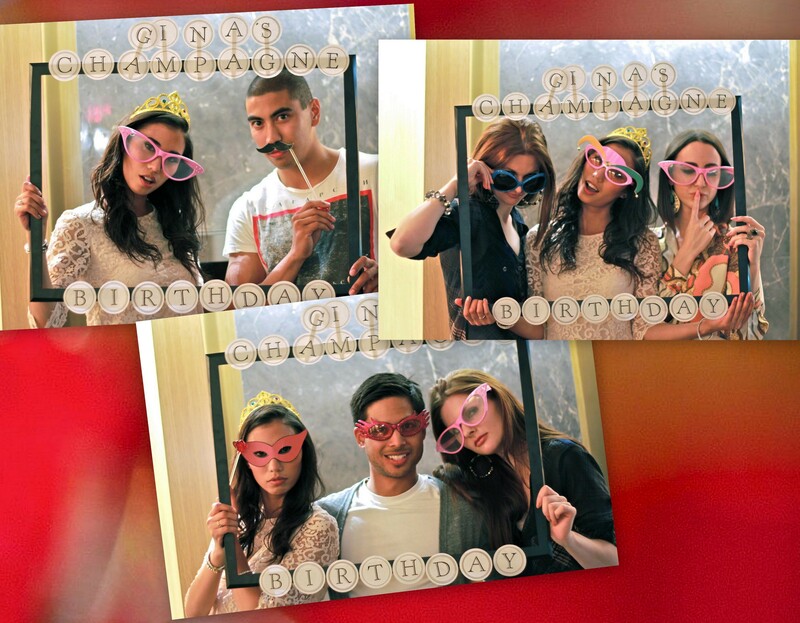 All of Gina’s friends and loved ones truly enjoyed this champagne birthday party. She could not have asked for a greater event to showcase this milestone. This was a tremendous success! 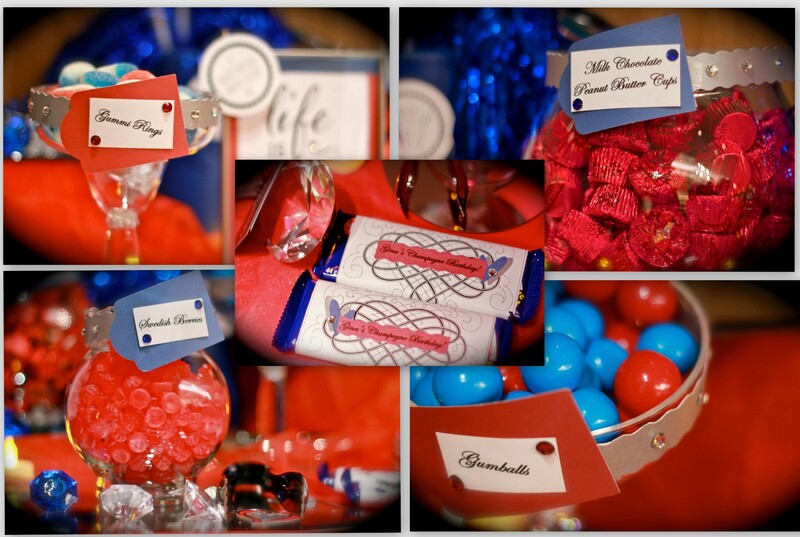 I am so glad that Viki’s pasta salad she was going to make for the potluck turned out to be the most incredible Candy Bar and Photo booth! Everyone absolutely loved the candy loot bags and I especially loved getting to pose with friends and family behind the photo frame. It was even more lovely to relive the fun when I received all the fantastic pictures! Planning the party was a labour of love for me, it being my Champagne Birthday and all. It took a lot of time and work and I really wanted it to be a success. So it was so incredible to have Viki there to put such special, unique, and memorable touches to the event that guests and I will always remember. I recommend Viki’s Event Stylings to anyone who wishes to host a fantastic event!